When I started this blog I let you know that I would not be screening my recommendations by price and this post is by far the best indication of this. While the Nook Sleep System’s Pebble Mattress rates extremely well on comfortability, weight, components (organic, or natural), and just general features – it costs a LOT for an infant mattress. Today’s cribs usually transition into an infant bed so you should be able to continue to reaping the rewards of this mattress for quite a few years which helps justify the investment. 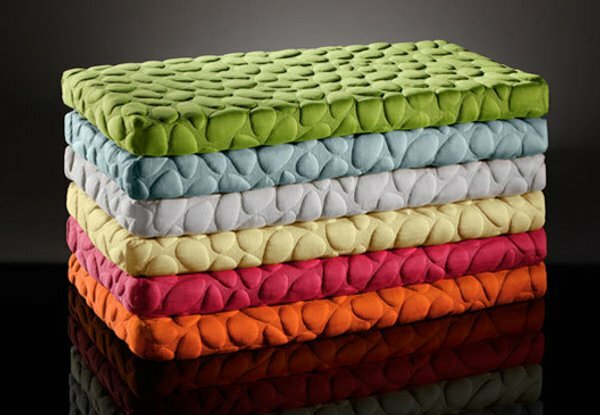 The Pebble mattress itself is made of high quality, dense, breathable, hypoallergenic latex core (or a foam core with Pebble Lite) and the brightly colored covering is water resistant and has raised pebbles to increase air circulation and in general increases comfort. It also eliminates the need for a mattress pad and even a sheet! There is anti-fungal, anti-mite, microbe-resistant, and stain resistant protections. Basically, if you are looking to invest in a mattress, the Pebble is for you.